Munich - Schalke 04 may only have brought in two new players over the summer, but early form suggests the Royal Blues had already made a wise choice in trusting that their young squad were ready to take the next step up. The arrival of Dutch winger Ibrahim Afellay on loan from Barcelona just before the close of the transfer window only increases the belief that their faith will prove to be justified. Four points from the opening Bundesliga encounters with Hannover and Augsburg, as well as DFB Cup first round win, have seen Schalke record a solid start to the season, even if sporting director Horst Heldt was not entirely happy with last weekend's uninspiring 3-1 victory over Augsburg. "I expect the players to realise they play for a big club," said Heldt, indicating that targets are higher this season after last year's qualification for the UEFA Champions League. Despite not spending any money on permanent transfers this summer, the Ruhr district side have recruited three quality newcomers in Roman Neustädter, part of last season's surprise package Borussia Mönchengladbach, Bayer Leverkusen's Swiss international Tranquillo Barnetta and Barcelona's Afellay, the latter on a one-year loan deal. 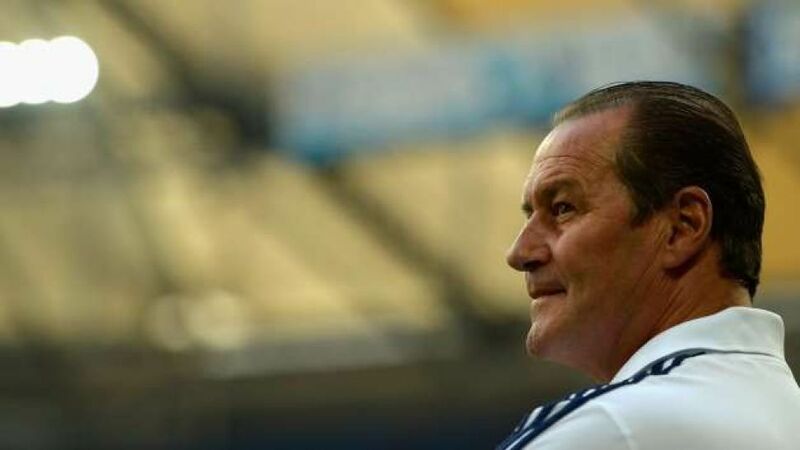 Schalke head coach Huub Stevens has so far left last season's team largely unchanged however, with holding midfielder Neustädter the only new face in the starting line-up, and young talents such as Julian Draxler and Lewis Holtby being given the chance to flourish. "I think we're only going to get stronger," says 2011/12 Bundesliga top scorer Klaas Jan Huntelaar: "We've got a young squad which is still developing." Dutch international Afellay debuted against Augsburg a day after his arrival and will bring valuable experience to the team's undoubted potential. "He's going to be a tremendous addition to the squad. With him and Jefferson Farfan, we now have two extremely dangerous players in attacking midfield," says goalkeeper Lars Unnerstall. Stevens has reason to believe however that his side are not yet quite on a par with the teams that finished above Schalke last season. "We still have a long way to go," said Schalke's 'Coach of the Century', a reference first and foremost to a certain lack of consistency at the back. Schalke conceded 44 goals last season compared to Borussia Dortmund's 25 and Bayern Munich's 22 - and they have let in three in their first two league games this time around.